Mantis Radio presents a slamming session from the UK electro bass mastermind that is Paul Blackford. Hear music by Amon Tobin, Noiz, DJ Pace, Concrete DJz and more. Heavily inspired by early rave and Detroit Electro, his first release on Breakin’ records in 2003 was described as a pioneering UK take on the Detroit Techno Bass sound. Since then, Paul Blackford has released tracks on labels such as WIDE, Deadlock Records and DJ Godfather’s Twilight 76. 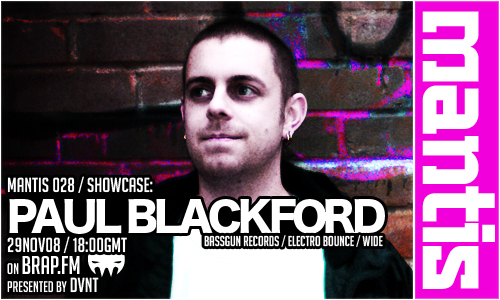 In 2007 Blackford set up Bass Gun Records with Smashback as an output for their own material as well as putting out fast bass-driven Electro from other artists. 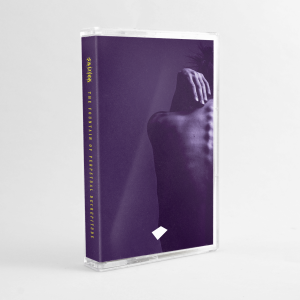 With support from DJ’s such as Dave Clarke, DJ Stingray, DJ Godfather, EDMX, Keith Tenniswood, and many more, Paul Blackford continues to release new material and remix for other artists. In 2009 Paul set up Militant Science, now operating as a netlabel.